Prehistory, industry and geology meet in the story of Bedford Valley River Park’s gravels and sand. There’s a surprising link between modern sand and gravel quarrying and Bedford’s prehistory. Not only were local sands and gravel laid down in prehistory, but their recent extraction on an industrial-scale has helped archaeologists discover more about who lived here and how they lived thousands of years ago. Bedford’s sand and gravel formed over hundreds of thousands of years during the Anglian Ice Age over 420,000 years ago. Ice Age Glaciers eroded existing rock into sand and gravel, which was deposited in large swathes across the area. When the climate warmed about 420,000 years ago, fast-flowing rivers and meltwaters churned the gravel and sand that formed the river beds and banks. Huge areas were eroded away and dumped in great heaps elsewhere. Rivers continually shifted the sands and gravels over thousands of years, creating large flat river terraces. Fossils in the soil show these layers formed over 100,000 years between ice ages. 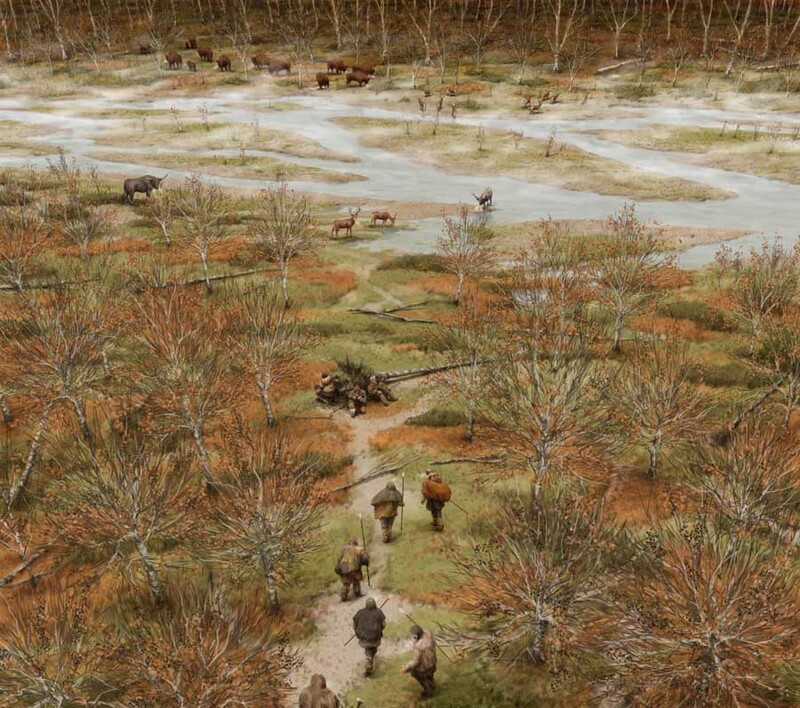 The climate warmed following the end of the Anglian Ice Age then grew colder again to freezing temperatures during the subsequent ice age 100,000 years later. Water levels dropped at the end of the last Ice Age, a mere 10,000 years ago, and trees colonised the drier, warmer land. With the trees came animals and people. Families foraged for plants, fished the rivers and hunted game such as red deer. Winds brought down trees and created holes where the roots had been. People used these holes for shelter while they made – and sometimes dropped – stone tools. Watch university students build the type of house Willington’s first residents may have lived in. 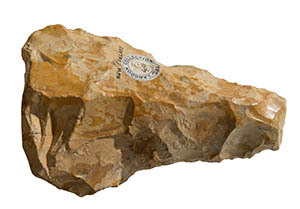 A Paleaolithic hand axe discovered in the gravels of Bedford River Valley Park. Mineral extraction of sand and gravels on an industrial-scale began north of Willington in the 1980s. 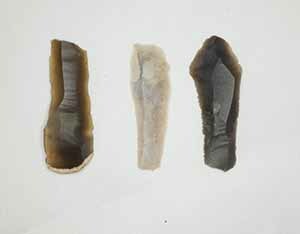 Archaeologists investigated some areas before mineral extraction took place. 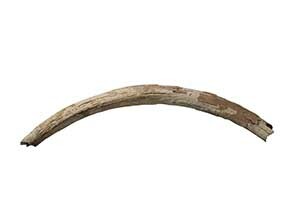 They found evidence that people had lived here over thousands of years: farming and building homes and ritual places, making tools and hunting, burying their dead, and getting on with their lives. In 2006, the Marston Vale Trust purchased the land to become part of the new Bedford Valley River Park. Industry stilled, making way for green leisure. You can see the large ponds left behind by mineral extraction by walking or cycling along National Cycle Route 51. Today, the restored grassland and lakes provide suitable habitat for many birds and mammals that include Snipe, Lapwing, Oyster catcher, Redshank, Green woodpeckers, Bittern, Hares, Deer and Otter. Priory Country Park, The Grange Estate and Danish Camp provide great opportunities to see these species and habitats.